Besides working for the legislature, Gipson is an attorney and a Baptist minister. He said that he saw the Supreme Court ruling as inevitable, but notes that it won’t phase him and other Christians in the state. House Speaker Philip Gunn, also a Christian, made similar statements. 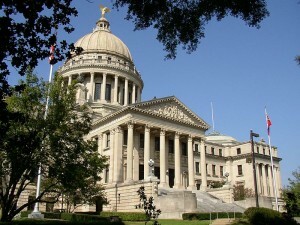 Mississippi is currently not issuing any licenses to homosexuals as the state’s case before the Fifth Circuit Court of Appeals was placed on hold pending a decision from the U.S. Supreme Court. It is waiting for the Fifth Circuit to issue a directive following the ruling. Lawmakers and judges in other states, such as Alabama, are likewise considering their options so as not to consent to the ruling. “My office discontinued issuing marriage licenses in February, and I have no plans to put Pike County back into the marriage business,” Alabama Judge Wes Allen said on Friday. Republican presidential candidate and Kentucky Senator Rand Paul weighed in on the matter on Sunday. “Since government has been involved in marriage, they have done what they always do—taxed it, regulated it, and now redefined it. It is hard to argue that government’s involvement in marriage has made it better, a fact also not surprising to those who believe government does little right,” he wrote for TIME.